far from noise, traffic, and from the frenesy of everyday life, telephone and television, and where you can relax thanks to the warm candle light at sunset. 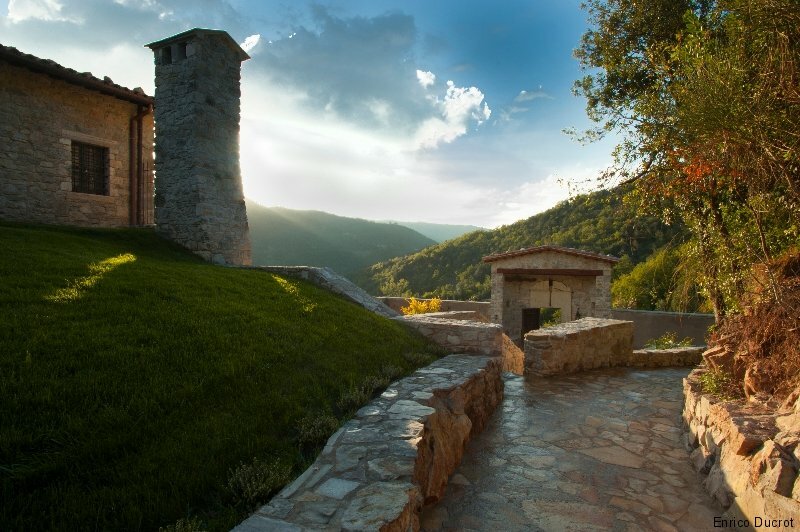 The Eremito is situated in a natural reserve, surrounded by a magical atmosphere, on a hill overlooking the Chiani river, in a location which is warm in winter and cool in summer, where you can find at the same time the most advanced, modern and green building techniques, and the ancient atmosphere of the medieval monastery, covered with stones, with its 14 individual cells with views on the valley, like the ancient cells used by the old desert fathers . There are other particular characteristics, such as the hand-sewn linen, the ancient refectory that is used as a dining room, a reading room with a big fireplace, a spa area carved into the rock, with Gregorian chants as background music, a pergola which is ideal to have dinner based on products of the land, with vegetarian recipes that reflect the most healthy diet proposed by the monks. The need for solitude is balanced with optional activities, such as “light yoga” in the morning, or riding a horse or just walking in contact with nature and gardening activities. 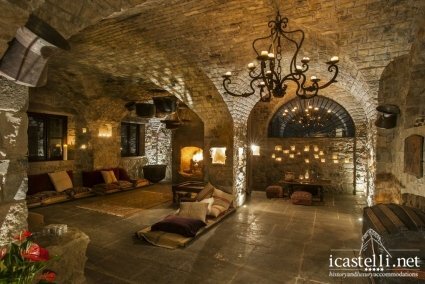 This entry was posted in icastelli.net news, Italy and tagged antiche dimore, antiche dimore Umbria, eremito hotelito del alma, hermitage, hermitage Umbria, monasteri restaurati, monasteri Umbria, new entry luxury hotels, new entry monastery, novità hotel di lusso, restored monastery. Bookmark the permalink.